After five years of a brutal bear market, gold and gold miners are finally having a huge rebound, and investor Chen Lin, writer of the popular newsletter What is Chen Buying? What is Chen Selling?, sees the parallels to 2009. He highlights nearly a dozen mining companies that have weathered the downturn and are in position to ride the wave higher. Gold and gold miners are finally having a huge rebound after five years of a brutal bear market, and we are having a spectacular year so far. Recently gold and silver are shaking off the potential summer weakness. We have been seeing very weak physical demand from China and India in the past few months due to high prices: Chinese demand was down 30–40% and India's was down 70–80% in Q2 versus the same period last year. In the meantime we have some Federal Reserve officials signaling that more interest rate hikes are coming up. "Pretium Resources Inc. is finishing up a world-class mine in north British Columbia." However, gold and silver are still looking very strong in the shoulder month of August. This year's gold and silver rebound tracks the strong rebound of 2009, the period when gold and silver rebounded off the brutal 2008 crash. Following the 2009 playbook, we should have a good second half if gold and silver continue to follow in the footsteps of 2009. 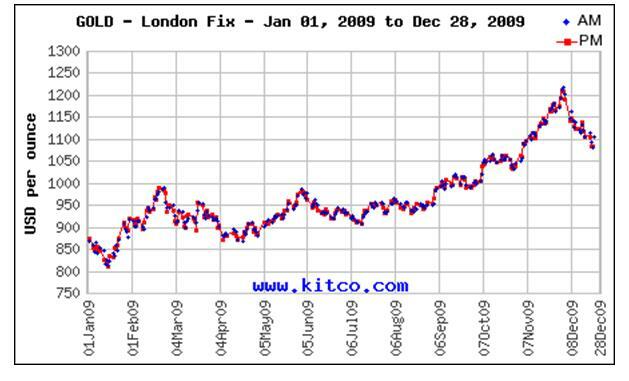 As you can see from the charts, gold started to take off big time after the summer consolidation in 2009, first at the end of August and early September, exploded parabolically, and peaked in early December. If you look at the monthly gains of 2009, two-thirds of the annual gains happened during the three-month period of September, October and November! Seasonally, gold and silver usually bottom around August. When the summer ends, jewelry shops are busy buying precious metal for the holiday seasons, starting with the Indian wedding season into Jewish Hanukkah into the Christmas holidays into the New Year and finally the Chinese New Year. Even the recent report of weak physical demand for gold from China and India may indicate that jewelry shop precious metal inventory there is low. They may have to play catch-up in the second half to restock the inventory, and that can drive the gold price even higher. As traders, now we need to prepare for a similar move of gold and silver in the next three to four months. This type of opportunity happens only once or twice in a decade and I don't wish to miss it. We want to build up our positions in the month of August in case a similar move of gold and silver happens again later this year. How to trade? If you are not very familiar with the gold mining industry, I strongly suggest you stick with exchange-traded funds (ETFs): SPDR Gold Trust (GLD) for gold, iShares Silver Trust (SLV) for silver, plus Market Vectors Gold Miners ETF (GDX) and Market Vectors Junior Gold Miners ETF (GDXJ) for gold miners. There are other physical-metal-backed ETFs for long-term holding. You can also try the leveraged ETFs, futures and options if you can tolerate the risks. Gold and silver miners are extremely difficult to analyze, and they fool even the seasoned experts all the time. Don't take any unnecessary risks. For people like me who have been in the industry for a long time, there are actually a lot of opportunities. The recent rebound of mining stocks has been very uneven. There are many very good value stocks if you look around. Here is a rough comparison of four of the ten largest gold miners in the world. You can see a huge valuation gap between Goldcorp Inc. (G:TSX; GG:NYSE)/Barrick Gold Corp. (ABX:TSX; ABX:NYSE) and Kinross Gold Corp. (K:TSX; KGC:NYSE)/Gold Fields Ltd. (GFI:NYSE). I understand Goldcorp is one of the best-run gold miners and Barrick is a darling of the funds, but does that justify the huge 100–200% valuation gap? If you believe this gold rally is for real, then I see these stocks converging in the next year or two when investors start to put valuations into their calculations. Here are the ten-year charts for these four stocks versus GDX. I see them converging, which means Kinross and Gold Fields could have 100% upside in addition to any appreciation of GDX. If you go down the food chain to the midtiers and juniors, I wish to remind everyone that this sector broke a lot of investors in the past downturn. Personally I saw friends who were almost completely wiped out. Did the industry change its behavior to be more friendly to shareholders? The honest answer, unfortunately, is no! You don't have to ask me, you can ask Rob McEwen, former Goldcorp chairman, and other honest industry insiders about it. I was following the industry carefully during the downturn; sadly most companies still didn't want shareholders' input, only their money. "Klondex Mines Ltd. became one of the very few successful stories during the past downturn." Insider ownership has been very low compared to other industries, thus there is little motivation to help existing shareholders to even recoup their original investment. I have seen shareholder revolts, but these revolts seldom succeeded. One of the few exceptions is Klondex Mines Ltd. (KDX:TSX; KLDX:NYSE.MKT); shareholders successfully went to court, fired the management team, and Klondex became one of the very few successful stories during the past downturn. But stories like Klondex are very rare, as many juniors wiped out most of their investors. Fortunately I saw the downturn of gold coming and led my subscribers to underweight gold and gold miners in 2012 and avoided a lot of this carnage. Going forward, I really like gold and silver miners who successfully delivered new mines during the downturn. The midtier companies I own are OceanaGold Corp. (OGC:TSX; OGC:ASX) and B2Gold Corp. (BTG:NYSE; BTO:TSX; B2G:NSX). Both successfully built mines in this recent downturn, on time and on budget. Both underpromised and overdelivered, they are extremely rare cases in the recent downturn. If you remember the long list of bankruptcies, like Allied Nevada's, that wiped out shareholders completely, the old memory is too painful to recall. The reason to continue investing in these companies is that they have an experienced in-house team that can deliver and a management team that at least really cares about shareholder value. I also own companies that were building new mines during the downturn and are now finishing them or are close to finishing them, companies that include Pretium Resources Inc. (PVG:TSX; PVG:NYSE), K92 Mining Inc. (KNT:TSX.V) and Maya Gold & Silver Inc. (MYA:TSX.V). Now everyone wants to build the next new gold mine. But during the downturn, only the best deposits were put into production. Pretium is finishing up a world-class mine in north British Columbia. 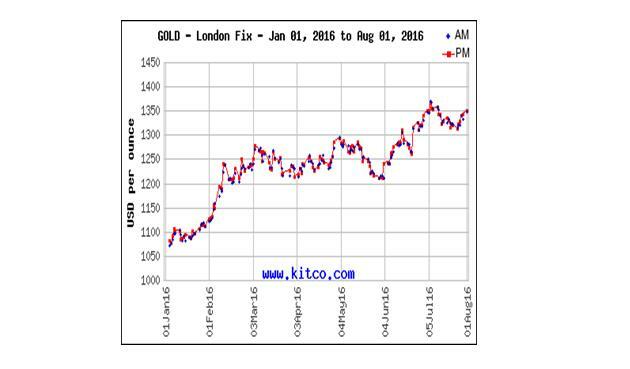 It should start pouring gold next year, 500,000 oz/year (500 Koz) at costs well below $500/oz. K92 should be in production this month or next. The company is quiet about its production guidance because it wants to underpromise and overdeliver. We should see it starting with 40–50 Koz at very low cost and going higher from there. Maya is ramping up its production as we speak. The new Zgounder mine (85% owned) is targeting 1.4 million oz (1.4 Moz) of silver per year at total costs just over $10/oz and cash costs just over $6/oz. We didn't see many silver mines starting up when silver was around $15/oz. This mine, when fully ramped up, likely beyond 1.4 Moz/year, will be one of the great new pure silver mines built in the past few years. Finally I wish to emphasize that these mines that have been built during the down times are truly world class. They are targeting sub-$1,000 gold and sub-$15 silver prices. When they are fully up and running, they will be some of the lowest cost mines in the world. I also like exploration companies that carefully navigated the downturn, keeping costs and dilution down. A couple of these companies I own are Gold Standard Ventures Corp. (GSV:TSX.V; GSV:NYSE), GoldQuest Mining Corp. (GQC:TSX.V) and Paramount Gold and Silver Corp. (PZG:NYSE.MKT; PZG:TSX). Gold Standard Ventures has been a spectacular stock during this downturn. The management team put their heads down and consolidated the whole district. Gold Standard gained the support of Goldcorp and OceanaGold, the two most successful companies during this downturn, at premium to its share price. It also made a strategic investment in Battle Mountain Gold Inc., which was dead for many years because of its very high royalty rate. The company bought down the royalty to a reasonable level and is now ready to explore. GoldQuest's management was able to raise money and shore up its balance sheet in the good times, and kept their heads down and did exploration and a preliminary feasibility study at minimum dilution in the downturn. Now the share price has rebounded and the company is ready to go to the next phase. Paramount hasn't moved much like other exploration companies, likely due to the fact that it just completed a merger. It is a spinoff of the old Paramount, which was sold to Coeur Mining Inc. (CDE:NYSE) during the bear market. It is one of the few winners of mines in the past few years. Now the company picked up another property during the downturn. It has two sizable gold projects, one in Nevada and one in Oregon, both in preliminary economic assessment (PEA) stage. Paramount has a total of over 5 Moz of Measured and Indicated resources, and a market cap of about $35 million. It is one of the few U.S. listed and U.S.-based exploration companies with proven management that is still quite cheap. In summary, the rebound of gold has striking similarities to 2009, the year after the 2008 crash. If history repeats itself, we should see the most appreciation of the gold price starting in September, the beginning of the annual gold run. I am excited about it. As always, when to book profits is the most important question for any investment, but especially in the volatile gold and gold mining industry. I was fortunate that I sold silver at $49–50/oz back in 2011 and led my subscribers to underweight gold and gold miners in 2012. I will be certainly watching the gold market very closely and hopefully will navigate through this gold bull market as successfully as the last time. 1) The following companies mentioned in the article are sponsors of Streetwise Reports: Klondex Mines Ltd., Pretium Resources Inc. and Gold Standard Ventures Corp. The companies mentioned in this article were not involved in any aspect of the article preparation or editing so the expert could write independently about the sector. Streetwise Reports does not accept stock in exchange for its services. The information provided above is for informational purposes only and is not a recommendation to buy or sell any security. 2) Chen Lin: I or my family own shares of the following companies mentioned in this article: Kinross Gold Corp., Gold Fields Ltd., OceanaGold Corp., B2Gold Corp., Pretium Resources Inc., Maya Gold and Silver Inc., K92 Mining Inc., Gold Standard Ventures Corp., Paramount Gold and Silver Mining Corp. and GoldQuest Mining Corp. I personally am or my family is paid by the following companies mentioned in this article: None. My company has a financial relationship with the following companies mentioned in this article: None. I determined which companies would be included in this article based on my research and understanding of the sector.